Posted by TimTheFoolMan in Parenting/Children. Yesterday, I saw a mother reading a story from children’s book to her young son. This reminded me of the hours I spent (and a few I didn’t) reading to my sons. There are many fond memories I have of my sons’ childhoods. Reading to them is near the top of that list. You’ve had a long day, and now you’re home and want a break. Work was frustrating and tiring, and home is where you kick up your feet and relax. Ah… the sweet bliss of home. You read to them anyway. You read to them whenever they want you to, for as long as they want you to. You read to them at night before bedtime. You read street signs for them. You read the plaque at the aquarium or the zoo to tell them about the secret lives of exotic animals. …and that’s when Brother Bear and Sister Bear decided that they wanted to get boring desk jobs instead of working as professional piano jugglers. You’ll be amazed at the things your child will notice. Most importantly, even when you don’t want to read to them, you’ll remember that these days will be over soon. That in the wink of an eye, your son or daughter won’t need you to read to them anymore. All too soon, they’ll be just a little more independent than you expected, and will be reading things without you. Who knows? Maybe one day, they’ll become a professional piano juggler like you always wanted to be. 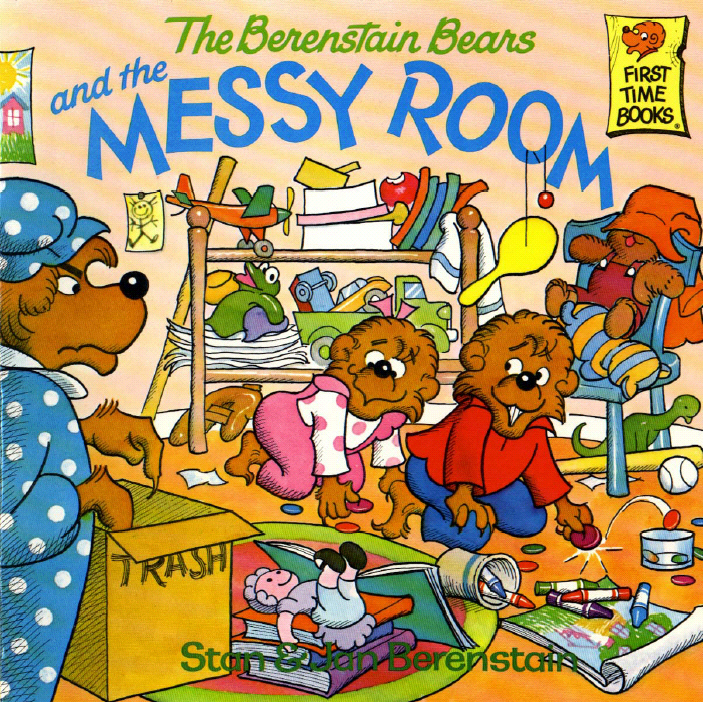 My kids and I love the Berenstain Bears books! Recently my almost-13-year-old son, who devours novels and is particularly fond of books and movies that are scary, creepy, gross, or all three, decided that for a couple of nights he wanted me to read to him — something I haven’t done for at least a couple of years. I dug out a few favorites from his much younger days: a beatifully illustrated version of Rapunzel, a funny story about an old witch, and so on. That’s so strange. I was on the BART (public transportation out here in the San Francisco Bay area) yesterday and saw a guy with his daughter (she couldn’t have been 5), and she was all sorts of hyped up about reading. She’d point to ANYTHING that looked like it had symbols on it, and he’d read three words off to her at a time, then wait for her to recite them as he pointed to them. It really got me thinking about what being a parent is really all about (I have no children of my own, and have no plans to change that). As for my own childhood, my parents read to me all the time. I can actually remember the 6th time my father read The Hobbit to me, and every time it was a little different from the time before. Now that I can appreciate just how bad my father’s voices for the characters were, I appreciate them even more. I understand what you’re saying. For quite awhile, we didn’t want to have anything to do with children, or worse, hang out with people who did, because all they wanted to do is talk about their kids. Funny how things change, because not long after that, it seemed like a great idea. Not withstanding the merits of reading to our children as you describe, Tim, the educational research on this is fairly unambigous too: there is probably no single activity that will have a greater impact on a child’s readiness and success in reading and learning than to read to them from a young age. It’s a winner which ever way you look at it (and now that the oppportunities are less, I kind of miss it)! I hope you’re enjoying those times as much as I enjoyed them with the boys. Those memories are still fresh, all these years later. Tim, probably my most cherished memories are the moments I shared with my kids as I read to them. When Tripp was still a little guy, he wanted me to start reading chapter books to him- so I did, just a little bit at a time. I will never forget the sunny afternoon when we were lying together in our big hammock. I read the last of “Where the Red Fern Grows.” Of course, I knew what was coming. But Tripp didn’t. Oh, how he cried. And then he said that the book was horrible because it was so terribly sad. We had such a great talk that day in the hammock- about how the story was actually quite wonderful in how it could make us feel so happy, and worried, and excited, and even sad. I miss those cuddly times. But you’d better believe that I read to my grandkids every chance I get!